Last week, I ordered some pumpkin and sunflower seeds from Gerbs Gourmet Seeds. Now, these were not just any seeds, but they were the much sought after but elusive nut-free seeds that have been missing from my life. 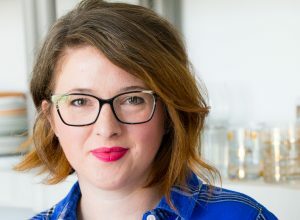 You see, with the Baby’s peanut allergy, its actually quite difficult to find pumpkin, sunflower, flax and chia seeds that aren’t processed with nuts. And in our house, the processed with peanuts thing is a big no-no. Perhaps where you live, there is a huge resource for seeds that aren’t potentially contaminated with those pesky little peanuts, but in my neck of the woods, nut-free seeds are a difficult thing to find. I was thrilled when I came across Gerbs, whose products are totally nut-free. I placed and order, and in just few days the seeds arrived at my doorstep. The Baby always gets excited at the arrival of mail, so when we got the package and she asked who it was for, I told her, ‘Well, it’s actually for you, sweetie’. She was thrilled…until we opened the package and she saw seeds staring at her in the face. I think she was holding out for a package of My Little Ponies or those crazy Equestria Girls dolls. Those Equestria Girls are a freaky. I’m not even kidding – they will haunt your dreams. They need to stick to being ponies. The arrival of seeds in the mail didn’t set her on fire with excitement, but they sure did to me. Before me sat endless possibilities of trail mix and granola and all sorts of things that I hadn’t been able to easily make before without the aid of nuts. This was a big time score. 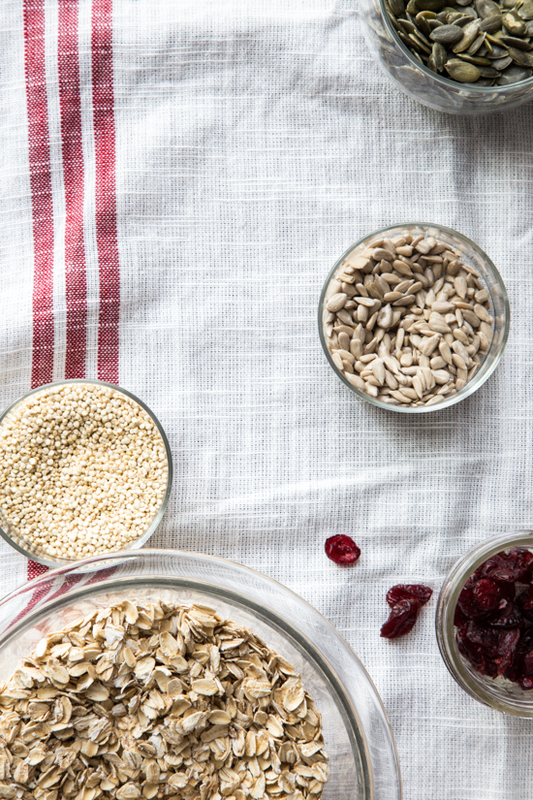 The next thing I knew, I was happily whipping up a hearty batch of Nut-Free Harvest Granola. This nut-free granola is everything granola should be: crunchy, sweet, filling and a little chewy and tangy from the cranberries. I am in love with this granola. Now, as you can see below, I tell you to wait until the granola cools before eating, but seriously? It was half gone by the time it had cooled. My family went a little crazy over it. Even the Baby – who I still think was holding out for a new pony, but was partially mollified by the new snack. She came back for seconds. This post is not sponsored in any way, shape or form. I bought the seeds with my own cash and just wanted to share with you this great nut-free resource! Preheat oven to 325 degrees and spray a rimmed baking sheet with non stick spray. 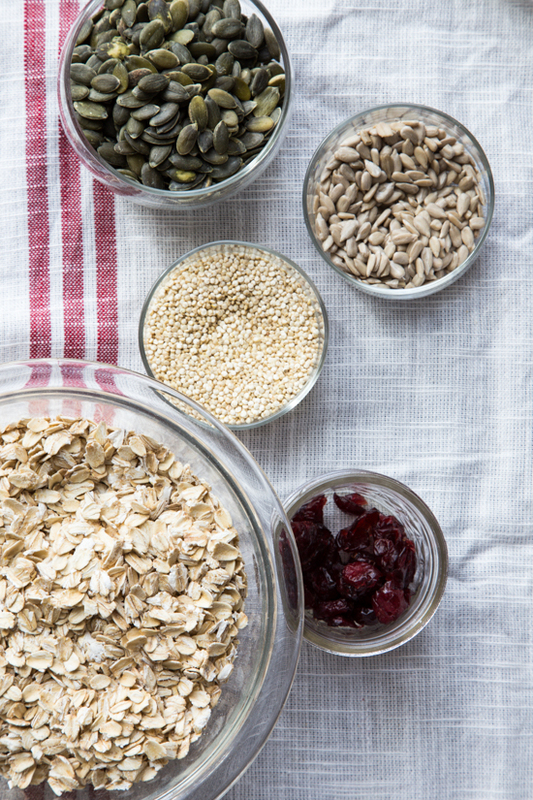 In a large bowl pour oats, quinoa, pumpkin seeds, sunflower seeds and cranberries and toss to combine. Pour maple syrup mixture over oat mixture and toss to coat well. 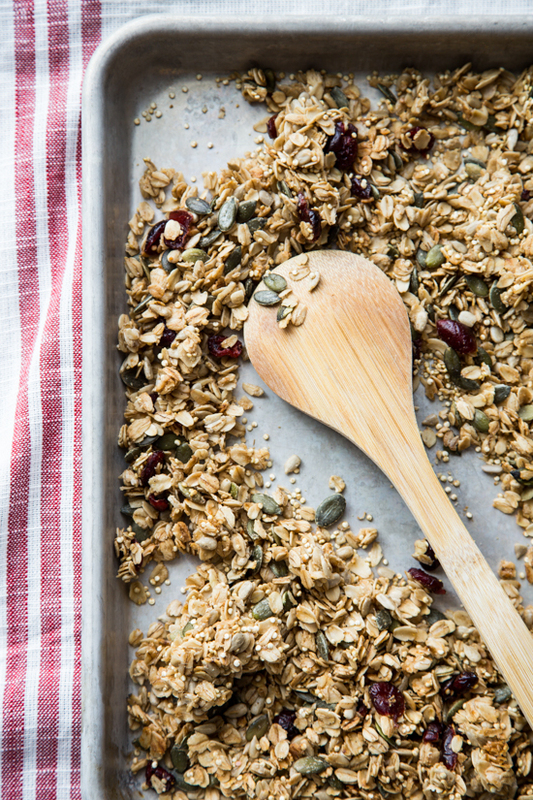 Spread granola mixture evenly onto prepared baking sheet. Bake for 22-25 minutes or until granola is golden brown. Allow mixture to cool completely. Break granola into large pieces and store in an airtight container. Granola is the best snack! So glad you found the nut-free seeds! This granola has all of my very favorite things! 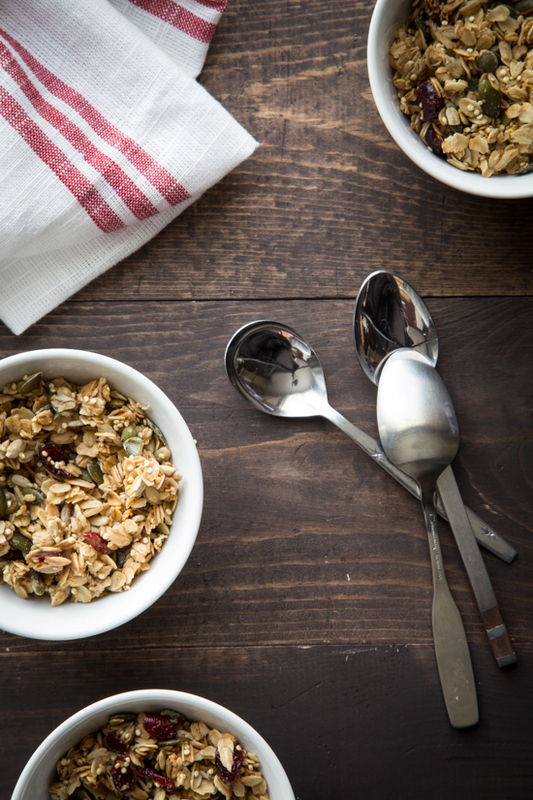 Granola is so perfect for busy mornings and afternoon snacks too. Oh, a pony would have been nice but this definitely sounds like a win to me!! I love the hearty mixture of seeds and even quinoa. I can’t wait to make this. cocoanut oil is derived from a cocoa-NUT. Which is a nut. My grandchild is allergic to all nuts and cocoanuts are one of them. Therefore I am thinking that this recipe is pretty much NOT nut free.